Vermag ich auch überhaupt nicht zu überzeugen. Zwar eine partytaugliche Produktion, aber die desaströsen Vocals samt grässlicher Computer-Effekte vermiesen alles. Hoffentlich avanciert das nicht zum Hit! Pretty crap, but not deserving of 1 star yet unless it gets overplayed to death in the next few months. Why does this disgrace still exist. Haha the autotune in this actually sounds quite ridiculous.<br>The beat on the other hand, is very good!<br><br>This song's longevity actually scares me a bit. Tired concept and pretty painful in parts but it's not that bad. Another average track. I find bluezombie's review and some of the lyrics to be entertaining though.<br><br>Starting to like this one more. 2* -> 3.5*. Enjoyable listen, with a good balance of electro beats, autotune and vocals. The song flows nicely. Ne-Yo's inclusion works well. The track is just missing something towards the end, but a club remix would fix that. If this song was just Ne-Yo, this could've been a 4. It's T-Pain, of course it is going to be autotuned to death. Really great collaboration, if you came wanting to party, this is a fantastic track. Dank Ne-Yo leider nicht beschissen genug für ganz weit unten. Der Autotune-Sound T-Pains ist hingegen fast schon abartig schlecht. Echt the pain dieser Song - nene, yo, so nicht! Didn't like this for a while, but loving it now! T-Pain and Ne-Yo don't go well together. 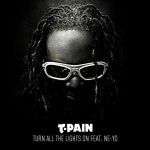 Better than pretty much everything else T-Pain has ever been involved in but still nothing good. Better then expected but still below average. It's okay. Shame it had such a good chart run. Knaller-Produktion! Dr. Luke und Circut haben einmal bewiesen, dass sie zwei der absolut Besten ihres Faches sind! Ne-Yo wurde hier auch perfekt integriert, definitiv der mit Abstand beste Song von T-Pain! Find ich nervig, dazu Autotune, meist ein schlechtes Zeichen.